30-1-O-40 Brother Jose Pablo BASTERRECHEA – Consecrated Life today: Charisms in the Church and for the World. 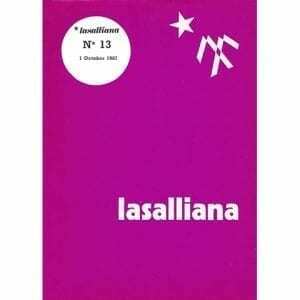 30-2-A-133 Brother Alain HOURY – The Complete Works of St John Baptist De La Salle in a single volume (1/2). 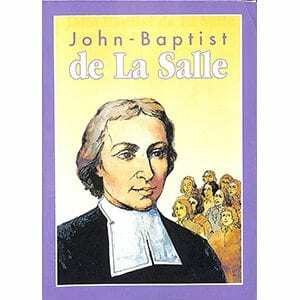 30-3-A-134 Brother Alain HOURY – The Complete Works of St John Baptist De La Salle in a single volume (2/2). 30-4-A-135 Brother Manuel F. MAGAZ – Duties of a Christian 1: Its Readers. 3. The Parents. 30-5-B-135 Brother Christopher A. LEE – A theoretical view of elderly Religious (1/2). 30-6-B-136 Brother Christopher A. LEE – A theoretical view of elderly Religious (2/2). 30-7-B-137 Brother Pascual MAYMI – Why “Brothers” and not “Fathers”? Lay Religious for an Ecclesial Mission (1/9). 30-8-B-138 Brother Pascual MAYMI – Why “Brothers” and not “Fathers”? Lay Religious for an Ecclesial Mission (2/9). 30-9-B-139 Brother Pascual MAYMI – Why “Brothers” and not “Fathers”? 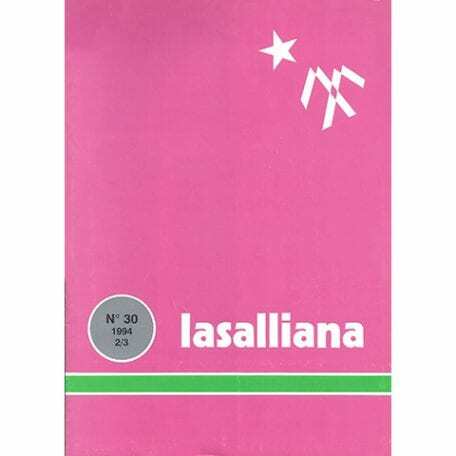 Lay Religious for an Ecclesial Mission (3/9). 30-10-B-140 Brother Pascual MAYMI – Why “Brothers” and not “Fathers”? Lay Religious for an Ecclesial Mission (4/9). 30-11-B-141 Brother Pascual MAYMI – Why “Brothers” and not “Fathers”? Lay Religious for an Ecclesial Mission (5/9). 30-12-B-142 Brother Pascual MAYMI – Why “Brothers” and not “Fathers”? Lay Religious for an Ecclesial Mission (6/9). 30-13-B-143 Brother Pascual MAYMI – Why “Brothers” and not “Fathers”? Lay Religious for an Ecclesial Mission (7/9). 30-14-B-144 Brother Pascual MAYMI – Why “Brothers” and not “Fathers”? Lay Religious for an Ecclesial Mission (8/9). 30-15-B-145 Brother Pascual MAYMI – Why “Brothers” and not “Fathers”? Lay Religious for an Ecclesial Mission (9/9). 30-16-C-133 Brother Alvaro LLANO – The responsibility of present-day families to educate their children. 30-17-D-81 Miss Mary CONLAN – Leadership for a better World. 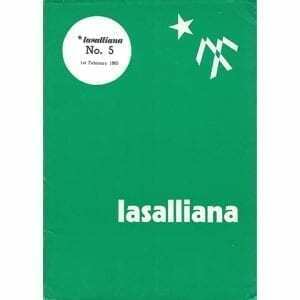 A Lasallian Coordinator Seminar. Narooma, 1993. 30-18-D-82 Brother Jeffrey GROS – Shared Mission and the Unity of the Church. 30-19-E-66 Brother Paul GRIEGER – School and Life. Former students speak about their schooldays. Beirut, Lebanon. 30-20-E-67 Brother Paul GRIEGER – The Catholic School in Lebanon in the future. A new educational approach. This short illustrated version of the life story of St. John Baptist de La Salle is appealing for all ages, especially young people. The drawings are well done, the story is dramatic, and major components of De La Salle’s life are well covered.